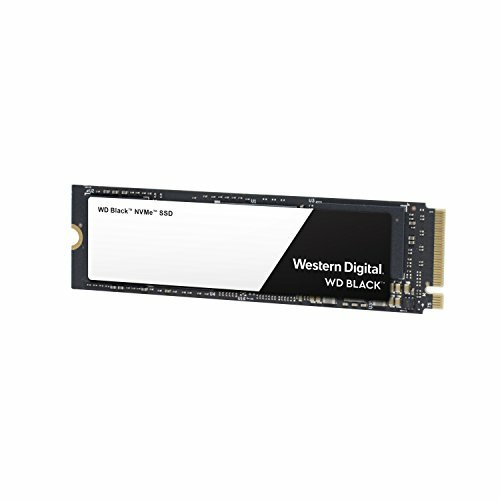 THE ORIGINAL WD Black, released last year, was a pretty underwhelming M.2 SSD: with sequential read and write speeds up to 2,050MB/s and 800MB/s respectively, it was easily outpaced by Samsung’s blistering 960 Pro and 960 Evo. 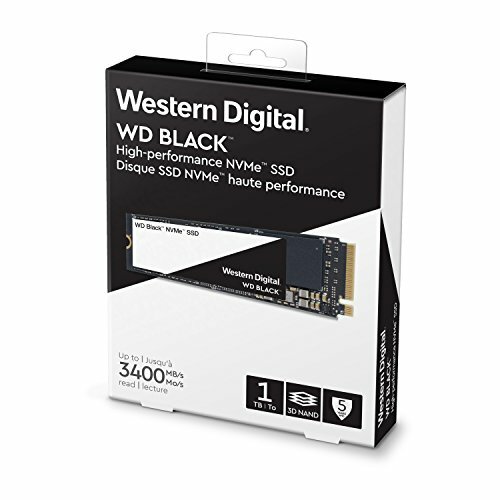 Read our WD Black 1TB Review. This 2018 update is a different story. 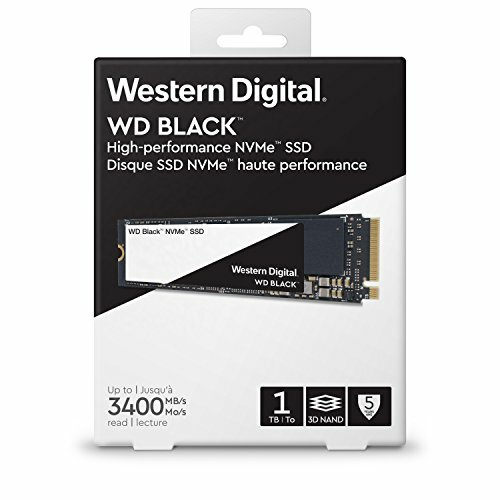 For one thing, it’s the first 3D NAND SSD released under the Western Digital brand, and it doesn’t just use the most common Triple Level Cell (TLC) variety; it also includes Single Level Cell (SLC) blocks, which is a more expensive technology but can generally read and, especially, write faster than TLC. This combination works somewhat like an octa-core smartphone processor, where some cores are faster than others. 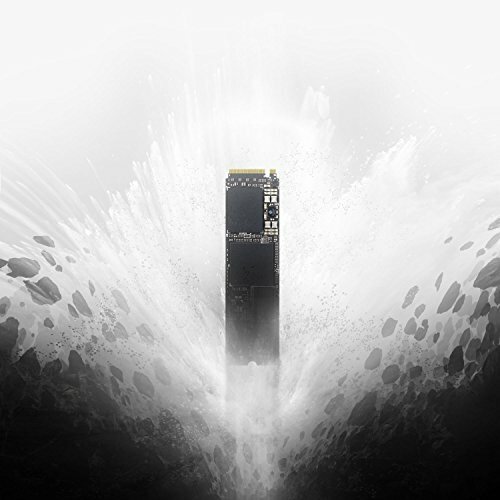 When you hit the WD Black with a heavy load of data to shift, it will attempt to process as much as it can with the quicker SLC blocks; the rest is handed over to the TLC memory. This ‘tiered’ system isn’t a new idea: WD’s subsidiary SanDisk has been doing something similar for several years and, as it happens, the 64-layer 3D NAND built into this SSD is made by SanDisk. Regardless, it’s a system that allows the WD Black to leverage a typically enterprise-grade flash technology inside a consumer SSD, and that’s no bad thing at all. There are 250GB, 500GB and 1TB versions available; we tested the 1TB model, which also is the best overall value at 37.9p per gigabyte. Next up is the 500GB model at 41p, while the 250GB sits just behind at 42.8p per gigabyte. To be sure, this is a premium SSD by mainstream standards. Still, none of these capacities are significantly more expensive than their 960 Evo and 960 Pro equivalents, and they’re actually slightly cheaper than the newer Samsung 970 Evo variants as well. 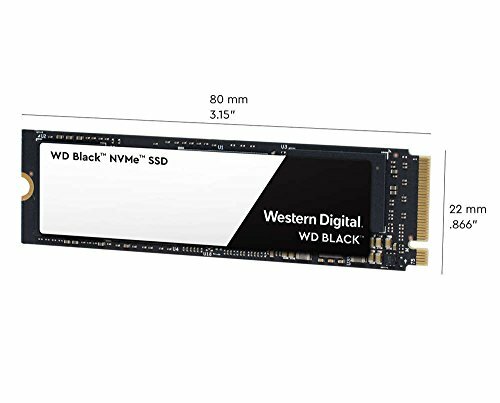 It’s also worth noting that the 1TB 970 Pro, another new release, will set you back 54.6p per gigabyte, so while the WD Black is pricey, it’s far from the worst offender. Endurance is above average, too, namely 200 terabytes written (TBW) for the 250GB model and 300TBW for the 500GB model. The 1TB model is easily the longest-lasting, being rated at 600TBW; you’ll more than likely run down the five-year warranty before wear and tear starts to give you any problems. speed of 3845.6MB/s and a sequential write speed of 2,850.3MB/s. 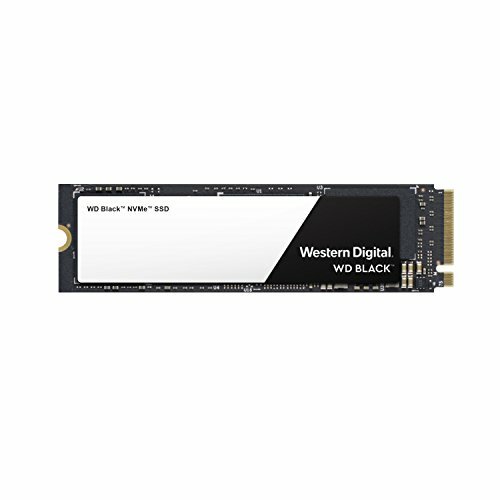 We haven’t tested the 970 Evo, but since that SSD’s claimed speeds only go up to 3,500MB/s read and 2,500MB/s write, that looks like a win for the WD Black. However, after we switched to the more demanding 4K test, the WD Black faltered, dropping to a low read speed of just 192MB/s and a write speed of 318.8MB/s. That’s a huge drop, and it’s not uncommon to see basic SATA SSDs do better. The WD Black didn’t entirely impress in our own file transfer benchmarks either. NVMe SSDs often exceed 1,700MB/s read in the huge file test, but here it only managed 1,024.41MB/s, and its write speed result of 1,132.42MB/s is underwhelming as well. Speeds dropped further in the large files test, with the WD Black scoring 977.16MB/s read and 1,035.96MB/s write, and again it struggled to even beat SATA speeds in the small files test, only averaging 361.54MB/s read and 383.23MB/s write. We don’t yet know how the 970 Evo will perform in the same benchmarks, but even the two-year-old 960 Evo did far better in all three tests. In its defence, we’re satisfied that the WD Black can reach its advertised speeds; at its absolute best, that SLC/TLC double act puts it among the fastest M.2 drives ever. Because of this, and the fact that it’s cheaper than other high-end consumer SSDs, it gets four stars. There’s no shame in choosing it if you’re a home PC user simply looking to upgrade from a hard disk or old SATA SSD. At the same time, it appears to have trouble maintaining this level of performance, especially when faced with having to move multiple files at once. For that reason alone, Samsung’s SSDs still reign supreme, particularly for tasks that require a lot of heavy lifting, such as video editing; although this has been the case for some time, and if nothing else it’s encouraging to see some potential competitors finally begin to emerge. Tiered 3D NAND gives this M.2 SSD a speed boost, though seemingly only for lighter loads.